A new exhibition launches at Emersons Green Library on 13 April as part of our First World War centenary project. The exhibition launches at 10.30am on Wednesday 13 April at Emersons Green Library, Emerson Way, Emersons Green, South Gloucestershire, BS16 7AP. 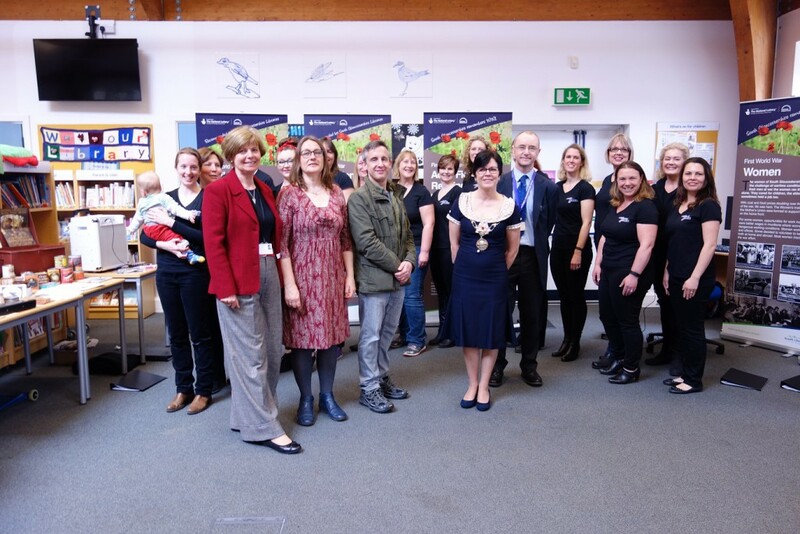 Chairman of South Gloucestershire Council Councillor Erica Williams will open the exhibition and the Bristol Military Wives Choir will be singing First World War songs. There will also be an opportunity to view some of the original resources that make up the exhibition. As part of the exhibition, the library service has additionally recommended a range of books about the First World War (fact and fiction) for both adults and children, which are available to borrow through all of South Gloucestershire’s libraries. The exhibition launches on Wednesday 13 April at Emersons Green Library and will remain on display until 2 May, before moving on to Winterbourne Library and other libraries in South Gloucestershire over the next 12 months. As the exhibition tours the libraries, there will be opportunities for local schools to hear a talk about the First World War using the exhibition and other learning materials.